Did You Know That Americans Waste 25 Million Styrofoam Cups To Make Little Houses For Mice Every Year? Americans have always had a reputation for being wasteful, but a new report from the National Center for Waste Management shows just how bad we really are. Can you believe that Americans waste a whopping 25 million styrofoam cups every year making little houses for mice? According to the report, Americans are wasting more styrofoam cups than Germany, the U.K., and China combined in order to make tiny homes with small door holes cut out so mice can go inside and have a little house all to themselves. This kind of wastefulness isn’t sustainable. And neither are the estimated 3 million pounds of straws Americans waste making tiny chimneys for these houses every year. Are you listening, America? Because this is your wake-up call. The good news is that there are things you can do to combat this unsettling trend. 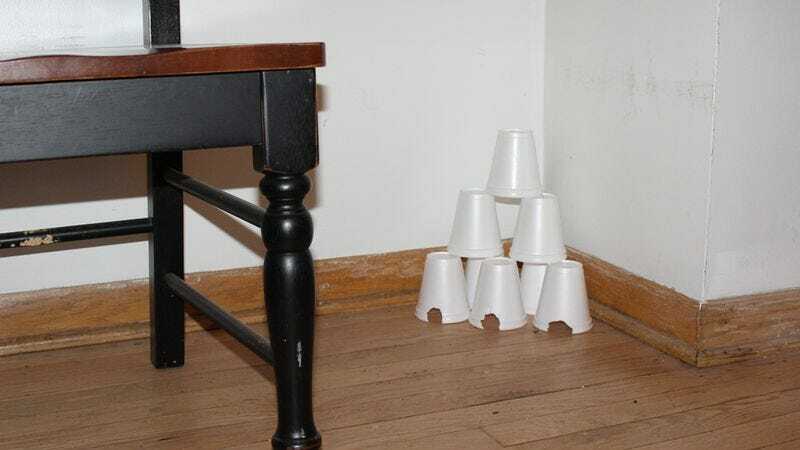 For starters, instead of buying brand-new styrofoam cups, reuse the cups that you have left over from previous times you made small homes for mice. If you preserve them well, mice will probably still want to live in them like tiny people, and you’ll be doing the world a service. The next time you find yourself about to waste a styrofoam cup on a mini-mansion for a mouse, just think about the citizens of poorer countries who can barely afford to use toilet paper rolls to make little sleeping bags for mice, let alone entire houses. Because as members of a privileged nation, we owe it to the rest of the world to be more conscientious about how we make small dwellings for mice out of styrofoam cups. And more importantly, we owe it to the mice.